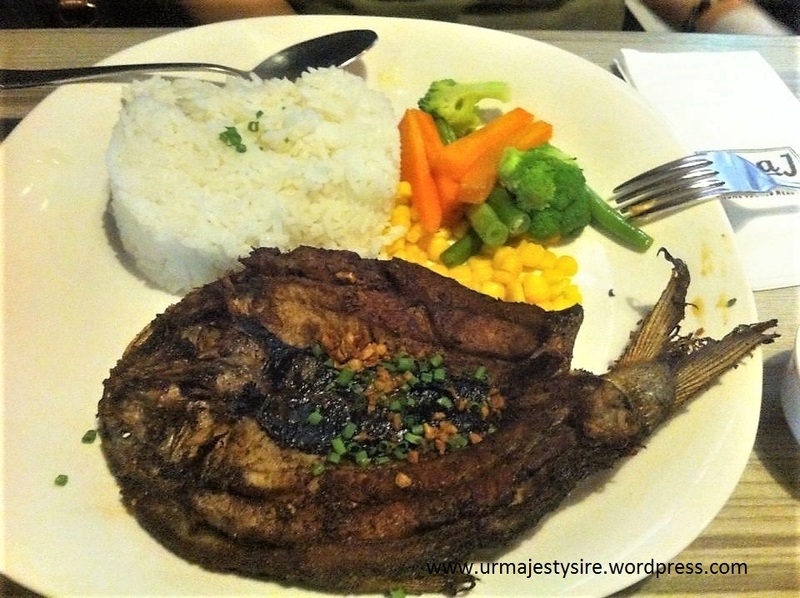 Luna J Filipino Gastropub: That home cooked Filipino food plus beer! Last month, amidst the hustle and bustle of the holiday season, had the chance to finally try Luna J Filipino Gastropub – twice in one week. 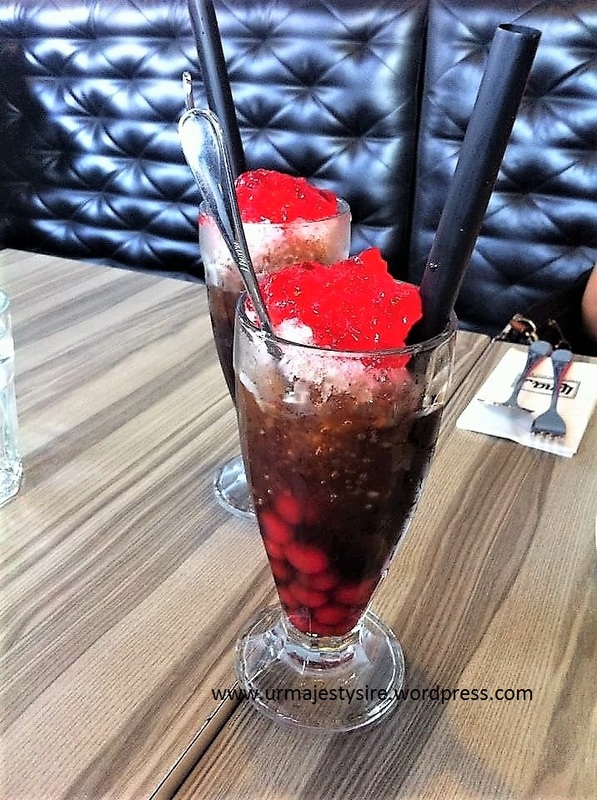 The first time was a weekday when my cousin and I squeezed in some salon time and grocery shopping that day and looked for a place for late lunch and the second time we had my sister along for our cousin’s advance birthday dindin. That said, let’s get to the food! 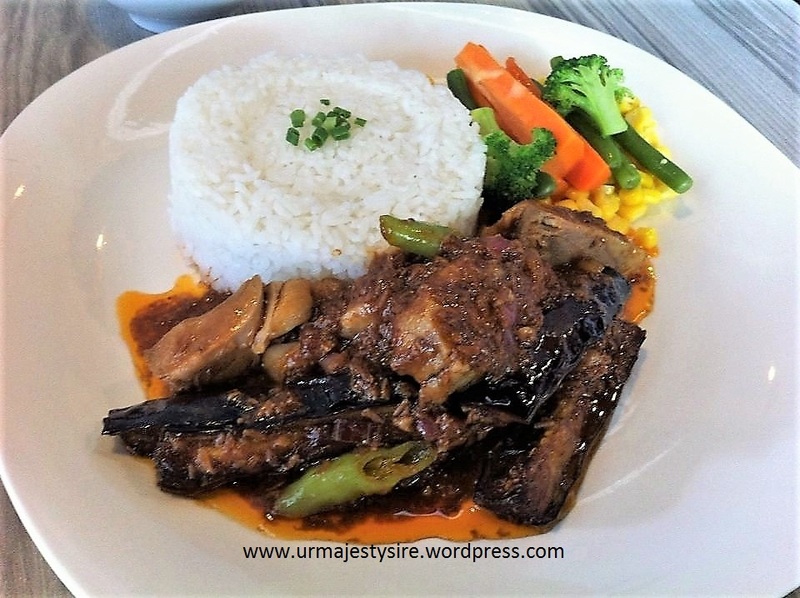 Luna J’s Binagoongang Baboy – Hailed by foodies as one of their best (next to Kare-Kareng Bagnet) has a perfect balance of the saltiness of the bagoong (shrimp paste) and the green chili. It is also not that oily which rendered the vegetables still full to the bite. It comes with steamed rice and a side of blanched carrot sticks, broccoli florets, string beans and corn kernels. 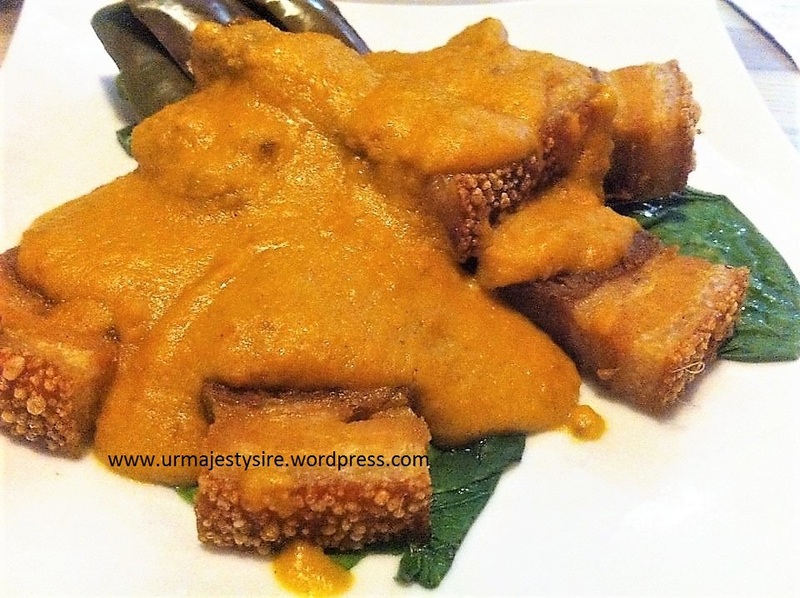 Luna J’s Kare-Kareng Bagnet – Most Filipino restaurants now have their version of this dish, but what I like with Luna J’s version is that the bagnet comes in crunchy bite size pieces, in a bed of blanched vegetables then covered with a blanket of kare-kare sauce just before they serve it. The difference is that you don’t have any difficulty cutting the meat, the vegetables aren’t soggy and the bagnet stays crunchy because its not drenched with sauce for a long period. The serving is good for 2 persons, which is best eaten with a side of steamed rice and of course, some bagoong. 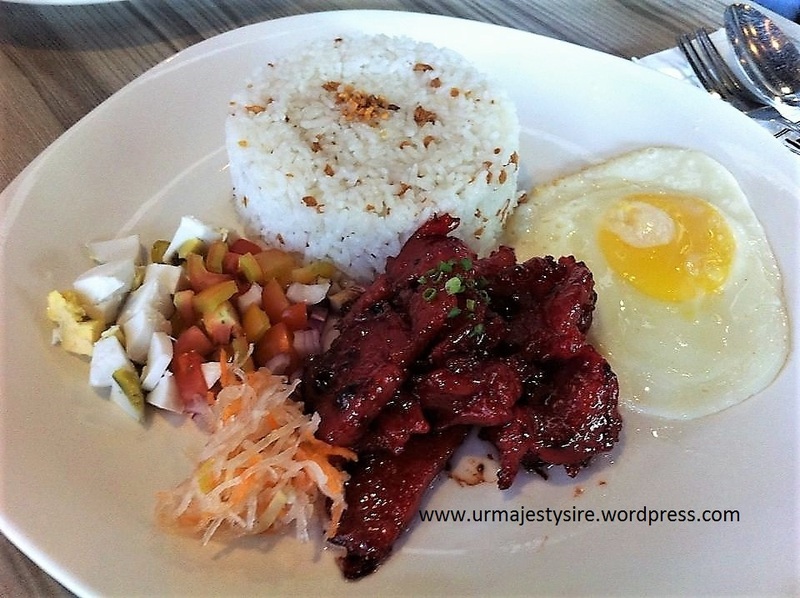 Luna J’s Tocilog – If you want a hearty Filipino breakfast after a good run or out on a Sunday brunch after church then this is one dish I would recommend. You’ll get your protein and carbohydrates requirements in one delicious plate, or share it with a loved one while chilling. The tocino meat is tender and does not have that salitre (Prague powder 1 or potassium nitrate used as meat preservative) taste. It comes with a side of fried egg, itlog na maalat at kamatis (salted egg & tomato salsa), atchara (pickled green papaya) and garlic rice. Luna J’s Daing na Bangus – Another Filipino breakfast favorite is daing na bangus (butterflied & deboned milkfish marinated overnight in vinegar, salt, crushed peppercorn and garlic) and if you want to satisfy your craving for that home cooked taste, then Luna J’s is the place to go. Crunchy meaty fish goodness that you may opt to dip in some vinegar with chili sauce or soy sauce with a squeeze of calamansi. Comes with a side of steamed rice and veggies.